Back in 2009, Aquacast was born! We posted podcasts about local sea life and featured interviews with volunteers and scientists in the field of marine biology. 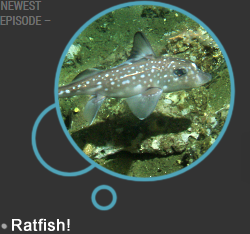 This year we are rebooting Aquacast with all new podcast episodes and articles featuring sea-going creatures from all over the world! Stick around while we bring you news from below the surface!